Continuing from Matthew 10 and 16, Mark 8 and Luke 9 also have the Lord’s words about denying the self, taking up the cross, and losing the soul life. Luke 9 adds one word not in Matthew and Mark: daily. “He said to them all, If anyone wants to come after Me, let him deny himself and take up his cross daily and follow Me” (v. 23). Verses 24 and 25 are about losing the soul life for the Lord’s sake. Verse 26 continues, “For whoever is ashamed of Me and of My words, of this one will the Son of Man be ashamed when He comes in His glory and the glory of the Father and of the holy angels.” Lord, save me from any shame about You and Your words. 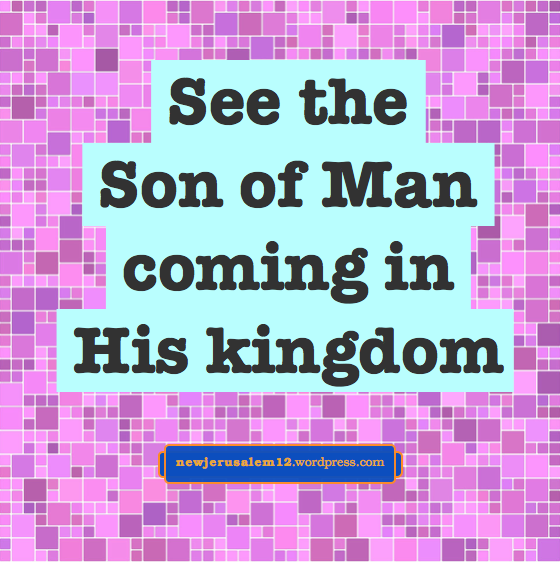 In Matthew 16, Mark 8, and Luke 9 the portion about denying the self is immediately followed by Jesus’ transfiguration on the mountain, which He describes as “the Son of Man coming in His kingdom.” This coming, in glory, foreshadows the coming age which leads to New Jerusalem. The path to New Jerusalem includes the cross now, the manifestation of the kingdom in the coming age, and then New Jerusalem itself. To be on this path, we must apply the cross of Christ to our soul life. The cross is available to us through the eternal Spirit (Heb. 9:14). Thus, it is by the Spirit, not by natural effort, that we go through the cross toward New Jerusalem.